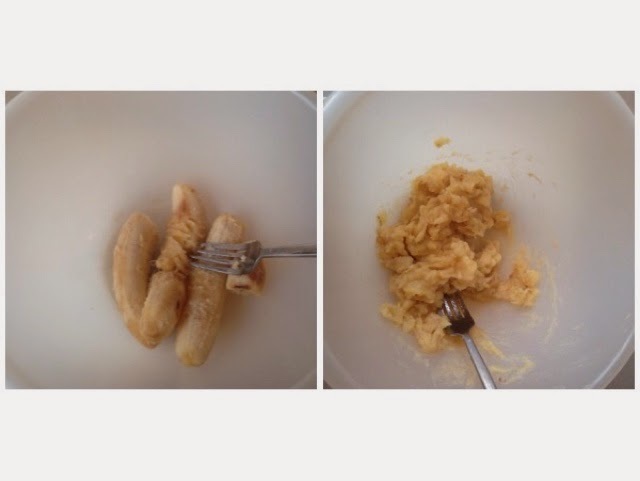 I'm terrible at letting my fruit go to waste - especially bananas, where I very really get through a whole bunch by myself. 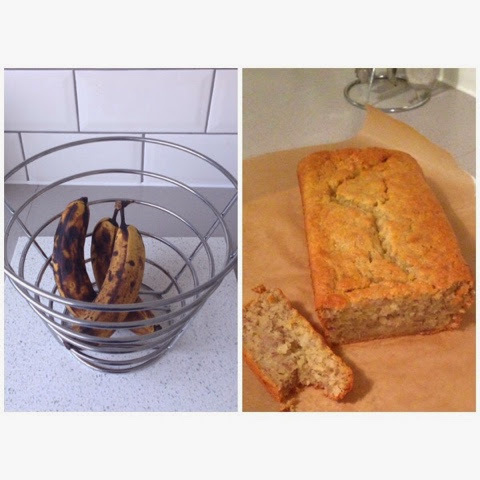 But rather than throwing those sad looking over-ripened bananas in the bin, I quite often make banana bread/loaf/cake (there's so many different variations, I'm sure they are all the same thing!). 1. 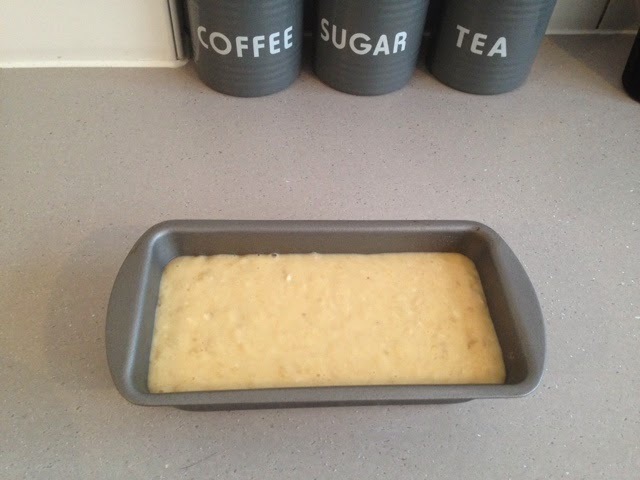 Grease a standard sized loaf tin and set aside. 2. 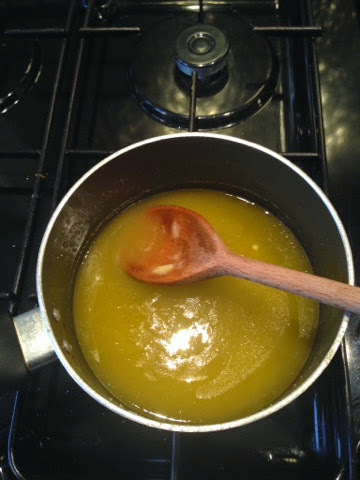 Melt butter, sugar and vanilla in a saucepan over a medium heat. 3. 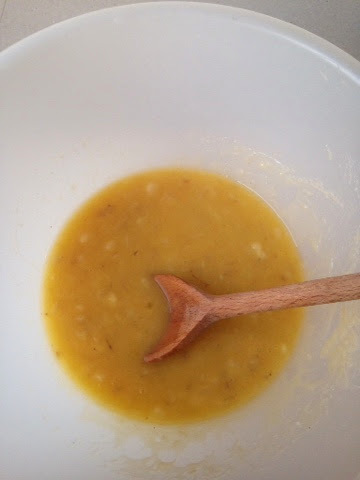 Remove from heat and add the mashed bananas, mix well. 4. 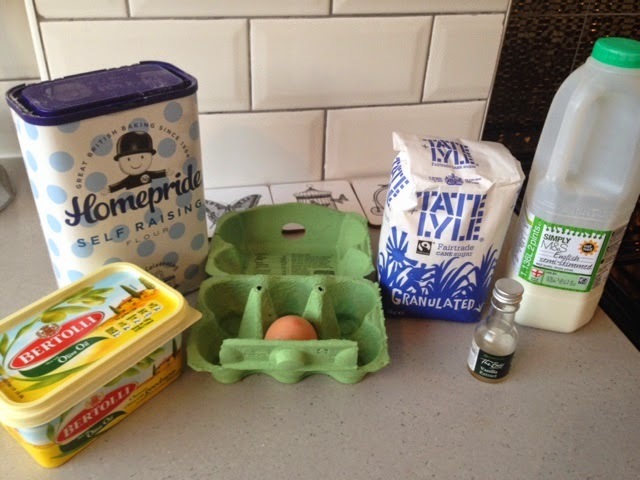 Add the egg. Mix well. 5. 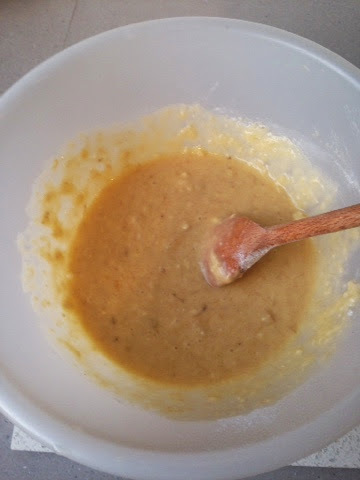 Stir in the flour and milk. 6. 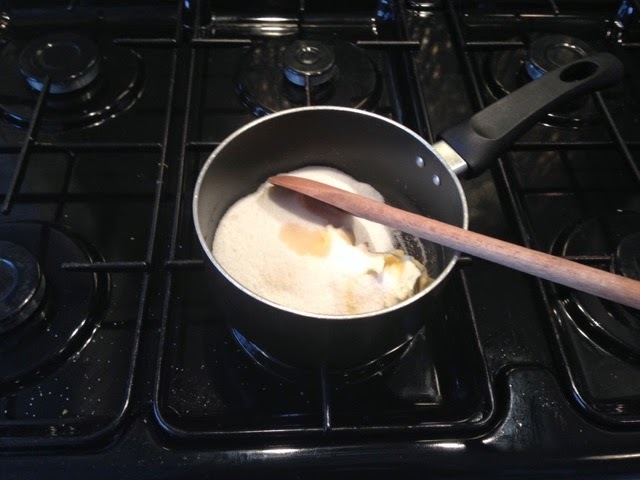 Pour into the prepared tin and bake at 170C/ Fan 150C/ Gas 3 for 45 minutes, or until a skewer comes out clean. 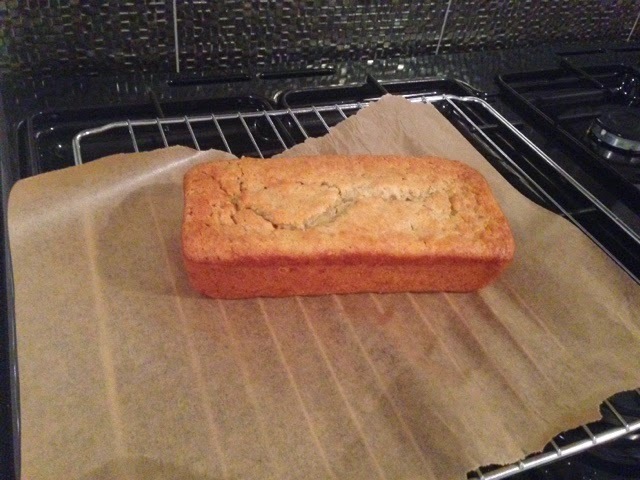 What's great about making this cake (bread/loaf etc!) 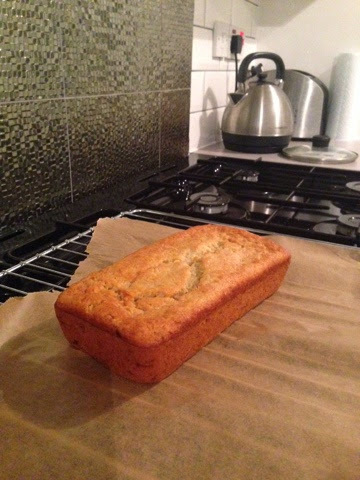 is that it fills your whole home up with a cosy, festive baking smell. Add a sprinkle of cinnamon or nutmeg for an even more festive hit! 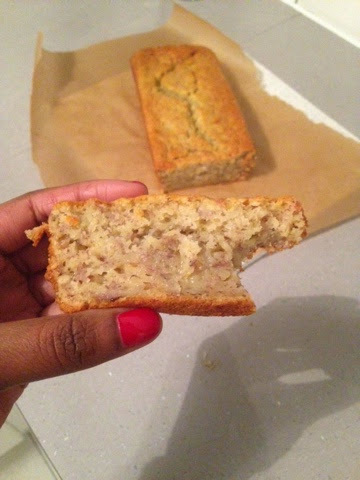 This is a delicious moist cake, with little scrumptious gooey banana bits that is just perfect during these late winter nights.